Juventus team are one of the best clubs worldwide and it shows in their dominance of the Italian Serie A. Having only lost 2 Home matches all season, Juve certainly know how to win, and they have been doing so for a few years now. Seeking their 1st ever Treble(league win, coppa italia win, Champions League win), Juventus are surely coming out to blow Monaco’s hopes up in this leg 1 home matchup. The absence of Paul Pogba and possibly Andrea Pirlo could press Juventus to play more defensive. But, with 3 straight home victories, expect them to still manage a shutout here considering they have accumulated a fine 11 Clean Sheets over 22 Home contests overall. With 3 wins out of 4 unbeaten home matches in UCL competition this season, look for goalkeeper Gianluigi Buffon to have his way once again as they push AS Monaco away from any road goal advantage before the leg 2 meeting in France. Carlos Tevez is the answer up front for this attack to succeed as he has piled up 6 goals in 8 Champions League contests this season. Look for a 1-0, 2-0 victory here as both clubs will enter defensive mode early on, limiting goal scoring chances. Monaco are coming off an absolute stunning upset of English favorite Arsenal to advance to this round of Champions League play. They just barely held on in the end via aggregate as their fortitude proved just deadly enough to succeed. The key to surviving was the stunning 1st leg away win at Arsenal that saw them down their hosts 3-1. Goals from Kondogbia, Berbatov, and Ferreira Carrasco were enough to solidify their aggregate victory in leg 2. 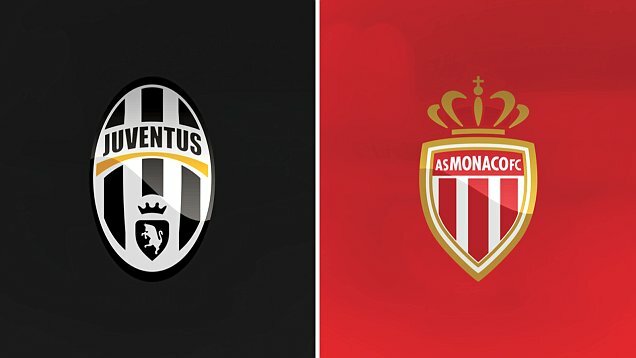 Drawing a quarterfinal pairing with Italian giant Juventus, AS Monaco will need to keep up the intensity if any chance of a semi-final berth is possible. Despite their 1st leg road explosion on Arsenal, expect a defensive approach from the Frenchman here as Juventus’ home defense is absurdly talented, allowing only about 1 goal every 2 matches. The services of Dimitar Berbatov will be essential here if Monaco have any chance at gaining a road goal aggregate advantage. He has not been able to get it going in UCL play quite yet, and Monaco certainly need this trend to change if they are to defeat their heavily-favored hosts, Juventus. The main bright spot entering this difficult road test here is Monaco have only 1 loss over 4 Champions League Away matches this season. Juventus: Buffon – Barzagli, Bonucci, Chiellini – Lichtsteiner, Marchisio, Vidal, Evra – Pereyra – Morata, Tevez. AS Monaco: Subasic – Fabinho, Wallace, Abdennour, Kurzawa – Kondogbia, Toulalan – Dirar, Moutinho, Ferreira-Carrasco – Berbatov.